One of IWAKI’s strengths lies in research and development, as the technical department play a very central role at IWAKI. App. 20% of IWAKI’s total workforce is employed in research and development. 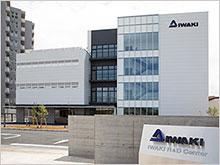 At IWAKI’s new R&D center we research in fluid control, new technologies and developing new products. Substantial efforts are being made to develop products meeting our customers’ expectations for a.o. safety and durability. We are constantly working to develop our technical capabilities so that we can continue to deliver high quality IWAKI products. In order to meet our own rigorous internal standards, thorough and repeated tests are carried out on a.o. pump flow, pressure, accuracy, temperature, pulsation etc. The new IWAKE test center includes ‘state-of -the-art’ facilities for testing noise / sound level, electrical safety (LVD), EMC, climatic chamber. It is also possible to measure all relevant hydraulic parameters in connection with pump testing, as well as pumps can be tested with all conventional power supplies. Watch the video of the IWAKI R&D Center in Tokyo being build. It was opened recently setting high standards for pump testing facilities. 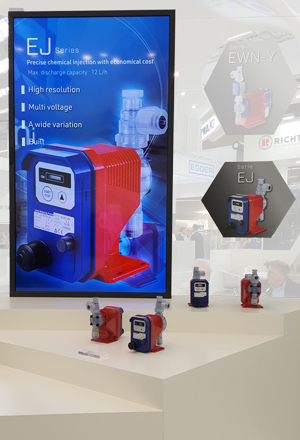 IWAKI launched two new pump sizes in the EJ dosing pump series at the Achema exhibition in Frankfurt. These electromagnetic dosing pumps have almost tripled the flow capacity for the EJ series. The EJ series is now offered in six pump sizes. The EJ series covers a wide capacity area from the small B09 pump size with max capacity of 1,14 l/h to the large B31-L size with a max capacity of 12 l/h. The pumps manages a maximum pressure of up to 1.2 MPa depending on the pump size. The wet end parts are made of materials with excellent chemical resistance. In the EJ series you can adjust the stroke speed between 1-360 strokes per minute providing high resolution chemical feed and high turndown capability. In addition to the stroke rate, several other control options are also available. The Japanese engineer Yoshiaki Fujinaka founded IWAKI in 1956 in Tokyo and 2016 marks IWAKI’s 60th anniversary. IWAKI recently celebrated its anniversary with a festive gathering for all employees in Japan. IWAKI was originally founded as a physics and chemistry appliances trading company, but offered many other products such as TV’s and washing machines, which was regarded as luxury goods at that time. Nevertheless, IWAKI’s main occupation remained chemistry appliances, and during the first many years, they focused on selling “shakers” for use in laboratories. 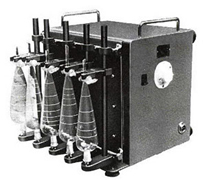 In the 1950’s, laboratories and the chemical industry began to apply solvent extraction as a new analytical method, which led to an increase in demand for shakers. IWAKI had through sale of shakers gained significant insight and experience with these appliances and knew, a way to increase profits, was by turning into a manufacturer. IWAKI saw the increasing demand as an excellent opportunity, and after several weeks of internal meetings, brainstorming and assistance from a well-known professor, IWAKI invented its first shaker. IWAKI developed its first two pumps in 1959. DP-1, a diaphragm pump and BP-1, a bellows pump complemented the physics appliances well as the wetted parts were made from fluoroplastics. It enabled the pumps to cope with aggressive fluids. The beginning of the 1960s became a turning point for IWAKI. 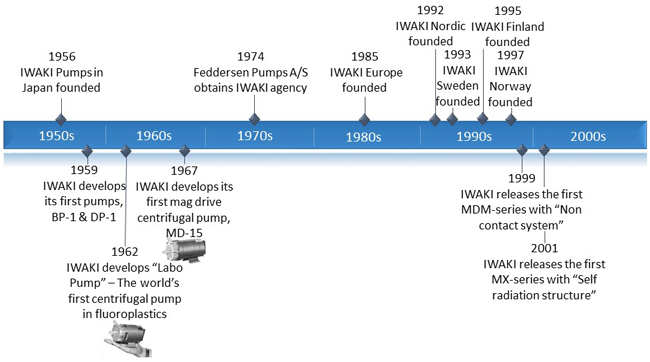 An increasing interest and demand in low-flow chemical pumps made IWAKI change direction. IWAKI changed to focus solely on production of pumps. The company’s breakthrough appeared in the wake of the changed direction, as Yoshiaki Fujinaka invented “Labo Pump” (LP1), the world’s first centrifugal pump in fluoroplastics. The newly developed pump was reliable, small and compact, and for this reason very suitable for implementation (OEM). In 1962, IWAKI received its first order of LP1 for implementation in vending machines. Within short time, several Japanese manufacturers had implemented the pump. Click here to read the full story about IWAKI and the vending machines. In 1967, IWAKI developed MD-15, the very first magnetic drive centrifugal pump made from fluoroplastics. The pump has today obtained “icon status” as the MD-series is still in production. Moreover, MD-15 had many similarities with LP1; small, compact but this time even more reliable! The magnetic coupling ensures a hermetically sealed pump chamber in contrast to sealed centrifugal pumps, which over time can become worn-out and leak. Click here to read the difference between magnetic drive centrifugal pumps and sealed centrifugal pumps. IWAKI has been subject to a rapid development since the invention of the first mag drive centrifugal pump. Today IWAKI is a transnational corporation with subsidiaries, joint ventures and distributors in more than 30 countries around the world. IWAKI’s key competence lies within magnetic drive centrifugal pumps and dosing pumps, and IWAKI’s assortment of pumps encompass more than 60 pump series and over 600 variants. IWAKI helps you handling your aggressive, flammable and toxic fluids in a safe and responsible manner. To protect the environment and in particular to protect you and your surroundings.